We have featured BlueStacks a number of times here on Geeky Gadgets reporting the launch of its software to support running Android applications on Windows and Mac systems. 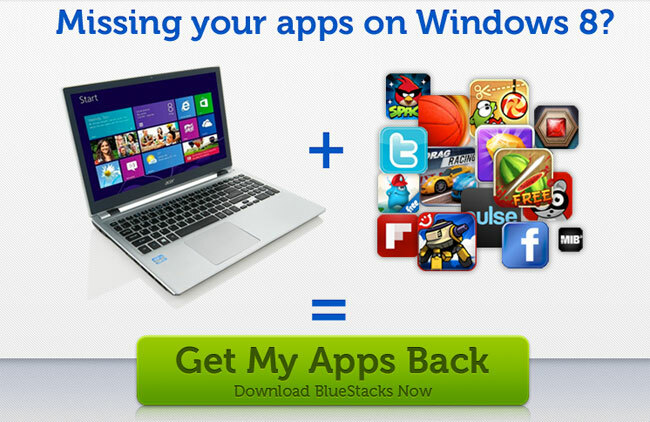 This week however BlueStacks have rolled out support for Windows 8 systems, enabling users to now run native Android applications within the Windows 8 environment. Watch the video after the jump to see it in action. The latest BlueStacks Windows 8 Android app player is now available to download from the BlueStacks website for free, check it out here. It has been optimised for Microsoft’s Surface Pro tablet but will install on any Windows 8 systems, but not Windows RT devices. BlueStacks has designed the new Windows 8 supported software to now offer the ability to launch the Player from a tile pinned to the Windows 8 Start screen, and it includes a true full-screen mode to enjoy.